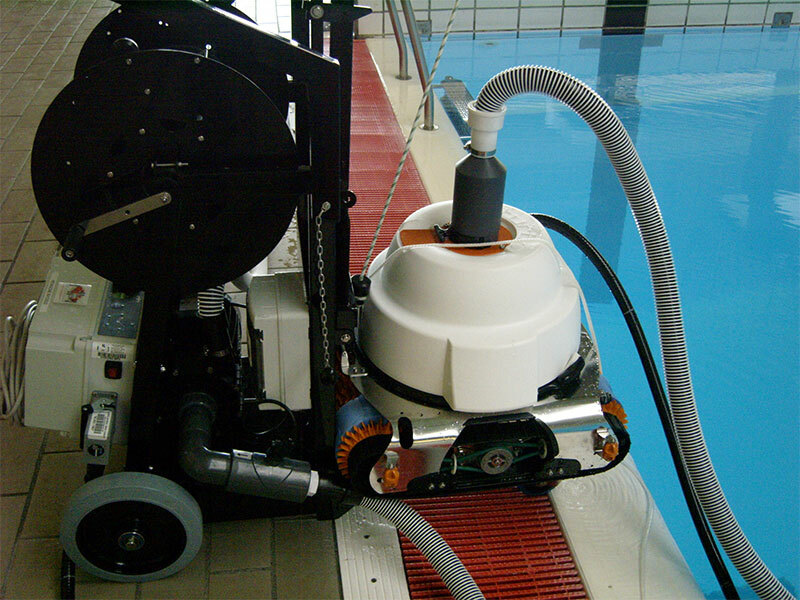 For ultrafiltration, the hybrid robot! 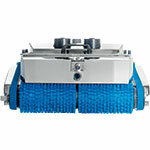 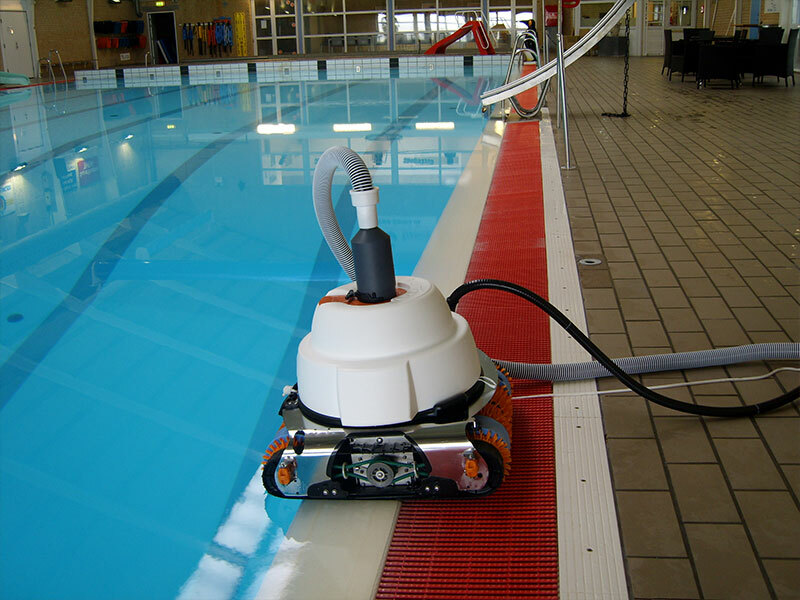 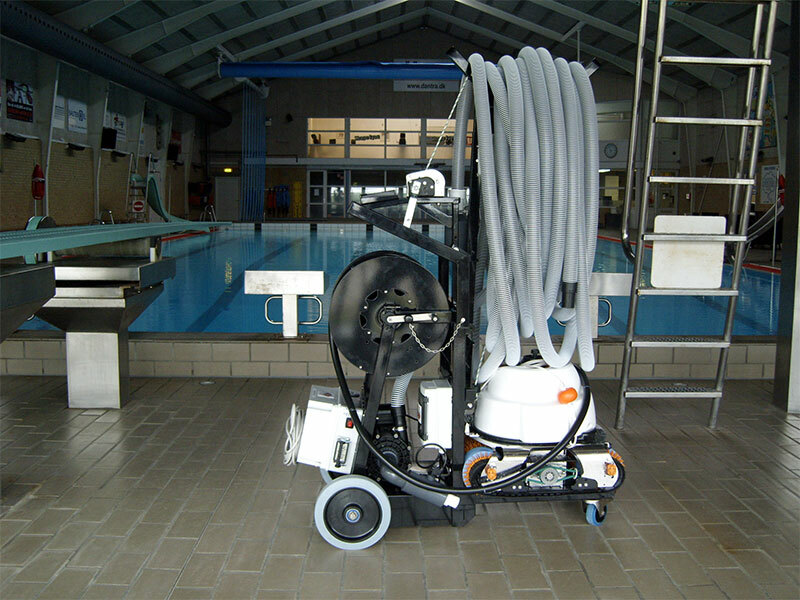 The bottom of the pool should be cleaned daily. 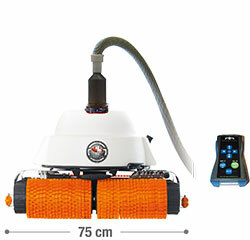 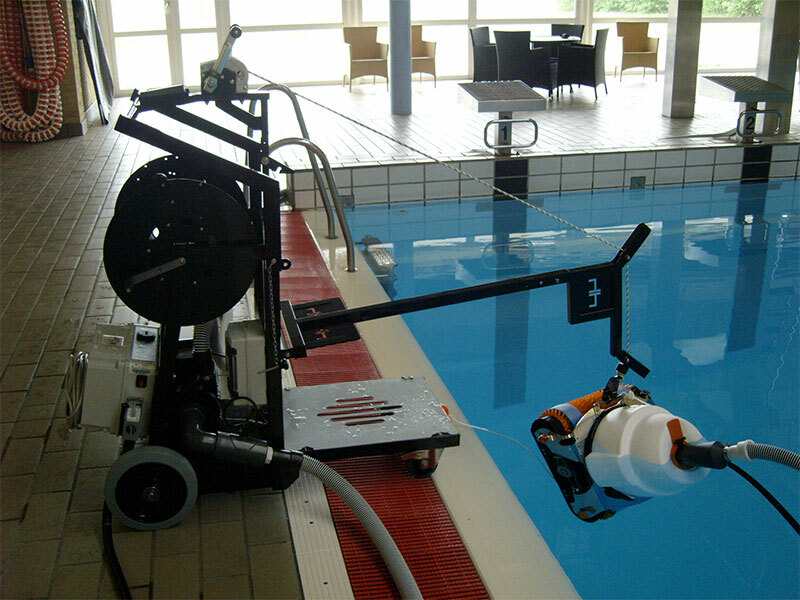 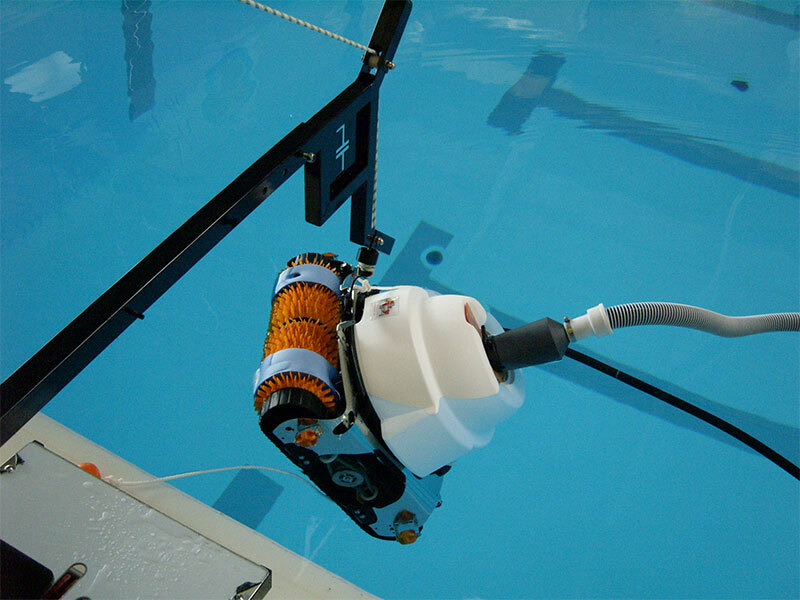 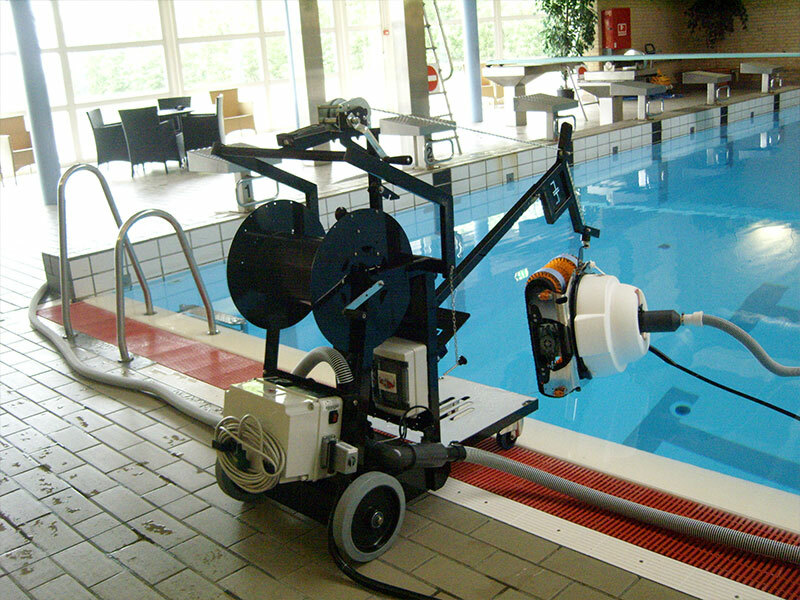 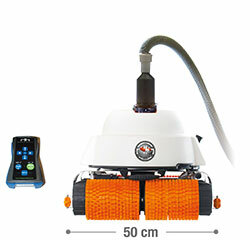 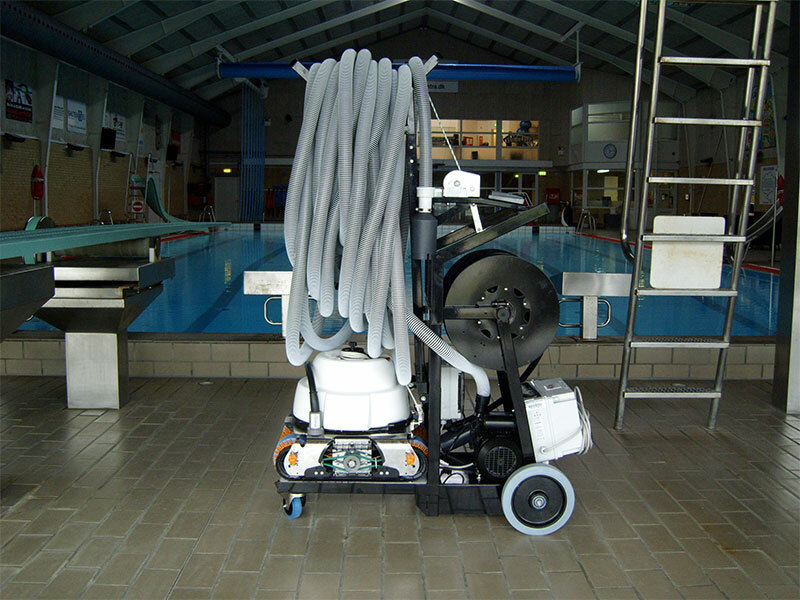 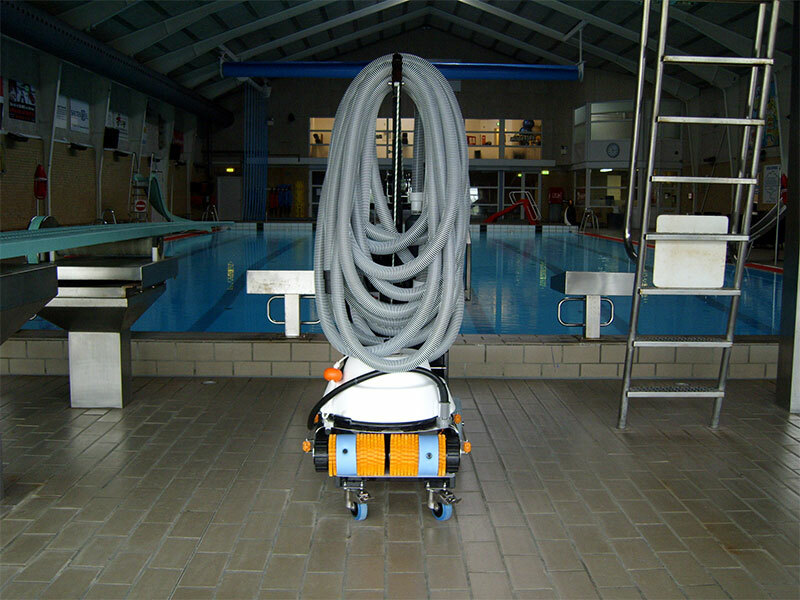 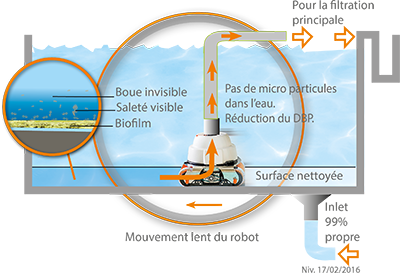 In addition to retaining the visible dirt in the bag, pump No.1, the aim of the Viking hybrid is to put out of the pool, through its floating pipe, the colloidal pollutants and the biofilm loaded with micro pathogenic organisms such as chloramines and algae that are on the bottom of the pool. 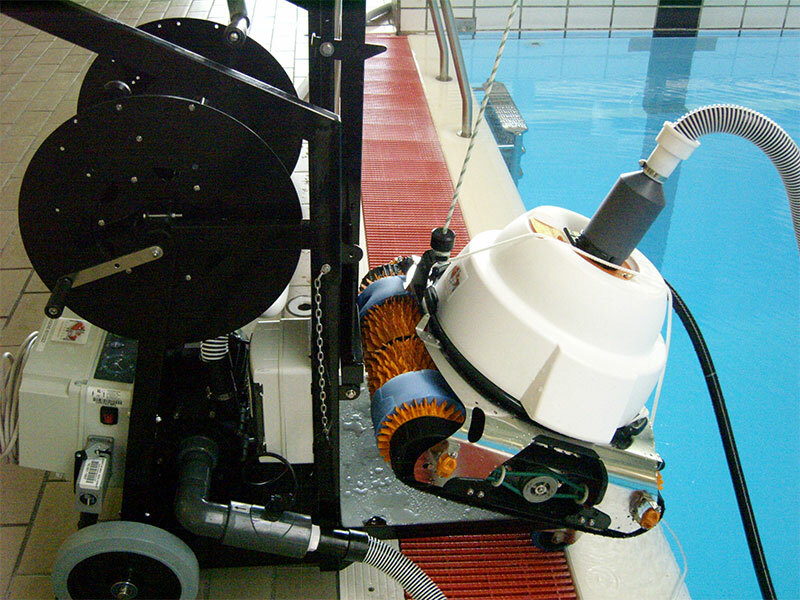 The whole impurities is rejected by the outer pump, No.2, of the Viking in the general filtration. 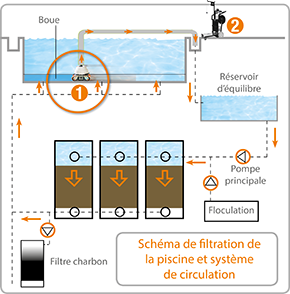 (Option of an external cartridge filter before sending to the general pool filter).